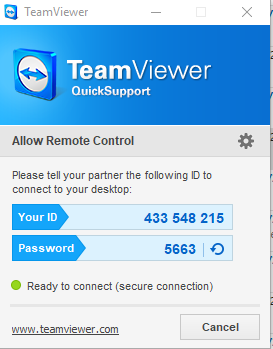 If you chose Save, choose your desktop, then once complete double-click the teamviewerqs.exe to start a remote session. Once it is running, you will see a window like this. Give your ID and Password to your technician.